I am the type of person that once I have my makeup on, I want it to stay on for the entire day without having any drastic issues. Without a primer, I definitely would see fading of my face makeup in about 4 hours. With a primer on it would last for more than 12 hours. I have been using the Benefit Porefessional for the past year and it hasn't failed in keeping my makeup last all day long - through sweat and oil. I like the Benefit Porefessional so much that I never ventured to buy a full sized face primer aside from it. I would try samples of other brands but never really go and buy the thing even after liking it. 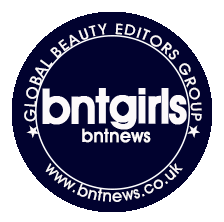 I guess it was high time to have a little change and try on something new when it comes to face primers; luckily enough, a primer - the Verikos Ultra Matte Velvet Primer - was included in this month's BNT Beauty Box sent by BNTNews International. Most Korean packaging nowadays include English translations for product descriptions and I'm quite glad they did since I don't have to go and spend a lot of time googling for product information. The Verikos Ultra Matte Velvet Primer boasts to give pore coverage, sebum control and make makeup last for up to 10 hours. According to the description provided, "Porous powder gives light and silky texture while absorbng excessive sebum from the skin. The oil-free primer tones the skin texture and corrects the skin ton without causing irritation." The primer has this Sebum Control System which "contains a lot of sebum control powder to effectively control sebum and therefore help the makeup stay put for a long time for you to maintain refreshed look until the afternoon." The product also contains Vitamin A & E which helps remove free radicals that are harmful for the skin. These vitamins will make the skin tone healthier and clearer while also giving protection from damage and keep the moisture locked in. This product contains no paraben, talc, artificial dyes, synthetic perfume, mineral oil and alcohol. Another photo that made my hand look so weird. So sorry. It's either my camera or my editor. :( I will try to fix this soon so you guys will see better quality photos. The product in this photo is actually the same color as it is in real life. For the most part I'm actually happy and impressed with this product. It actually reminded me of Porefessional from the color, texture and wear. The Verikos Primer has a tint to it that actually evens out the skin tone. If put side by side the Verikos has a grayish undertone (which is very similar to most Korean BB creams) while the Porefessional has a slight pink undertone. They both blended pretty well into the skin and there wasn't any difference between them after blending. Unlike other primers out in the market, I preferred Porefessional because of the absence of the slippery silicone feel and Verikos Primer is actually very similar. It glides on your face smoothly but it wasn't slippery or greasy. It felt powdery upon application. For wear, this primer held up my makeup well throughout the day. I did the whole 10 hour test just to see if it did last for 10 hours and I'm happy to report that it did albeit there was a little fading of my powder bronzer and blush but my foundation stayed on. In comparison to Porefessional, both covered my large pores pretty well, so there goes the pore coverage claim. I don't really get oily throughout the day since I have a normal to dry skin but I do get a little bit of oil on my T-zone in the long run but it doesn't really bother me. Some products like foundation or BB cream does make me produce more oil. I tried using this primer under the foundation and BB cream that makes me oily and it kept my face matte for a good number of hours than without a matte primer on. It doesn't completely keep my face matte for 10 hours but it was okay. You can definitely see the difference in the photos. The mattifying effect can really be seen. It is also brightening and it evened out my skin tone. The only downside I had with this particular primer is the scent. It contains prim rose oil that gives off a really strong rose scent. I'm okay with rose scents but I don't like it in makeup, I find the scent really strong and I was really uncomfortable every time I put this on my face. Overall, this primer is a good one. I'll definitely keep using it until I'm out of it but it is something that I would repurchase just because the scent offends me - that is my personal take though. If you're someone who likes to keep your face matte and would like your makeup last longer throughout the day and is fond of scents, then this is probably something for you. You can check this primer out at Verikos but beware, the site is in Korean so you would need to translate the page. I'm not sure if they offer international shipping but for those who are living in Korea you might want to check this out. I love how sophisticated the packaging looks! It really does wonders for your skin! Looks great! You can really tell the difference here :) Your skin is so flawless! Great post and wonderful blog! Thanks for the review! Eye primer can make a real difference in brightening up the eye area. great post! would you like to follow eachother via bloglovin and gcf? Great post! Thanks for stopping by my blog and following! I now follow back! hi dear! i just follow you back. thanks for dropping by in my site. :) great blog u have there! Great review and great post. Would you like to follow each other on GFC? Let me know.